When the Volkswagen Polo was first introduced in 1975, it was very much a car for Europe. Only really with the third-generation car of 1994 did the Polo start to become a global player, and although US success has always evaded it due to its non-availability there, over the past 20 years or so, it has gained worldwide notoriety. First made in Germany at Volkswagen’s home Wolfsburg factory, the Polo is now built in Brazil, China, India, Spain as well as South Africa. And so, with the unveiling of the all-new sixth-generation model, it was obvious there may be versions for local markets. The first to arrive is the Novo Polo for Brazil. Looking almost identical to the all-new Polo for Europe, the South American sixth-generation Polo, the car is based on the same MQB ‘A0’ platform, and is essentially the same car. That means it shares the European model’s much roomier cabin and larger dimensions, as well as the 94mm increase in wheelbase (now 2,564mm), although the Brazilian car strangely gains 4mm in length. This may well be due to the slightly restyled bumpers. The Novo Polo boasts a unique front end, which differs from the European new Polo. Designed after consultation with customer clinics, there is a larger ‘mouth’. The Novo Polo’s lower bumper grille is bigger than that on its European counterpart, with the numberplate hung from a black bar which forms the top part of the aperture, a feature not seen on the European new Polo. While in some markets, the new Polo is available with a 20-strong colour palette, the Brazilian Novo Polo has seven shades to choose from: Black Ninja (! ), Blue Night, Platinum Gray, Tornado Red, Sirius Silver, Silver Tungsten, and White Crystal. The interior of the South American Polo is identical to the European car, though, with the new dashpad sweeping across the main part of the dashboard and bleeding into the front door panels. There’s the same horizontal axis instruments, too, and a suite of 6.5 and 8-inch colour touchscreen infotainment systems. The same second-generation 1,440 x 540 pixel Active Info Display system features as an option, too. 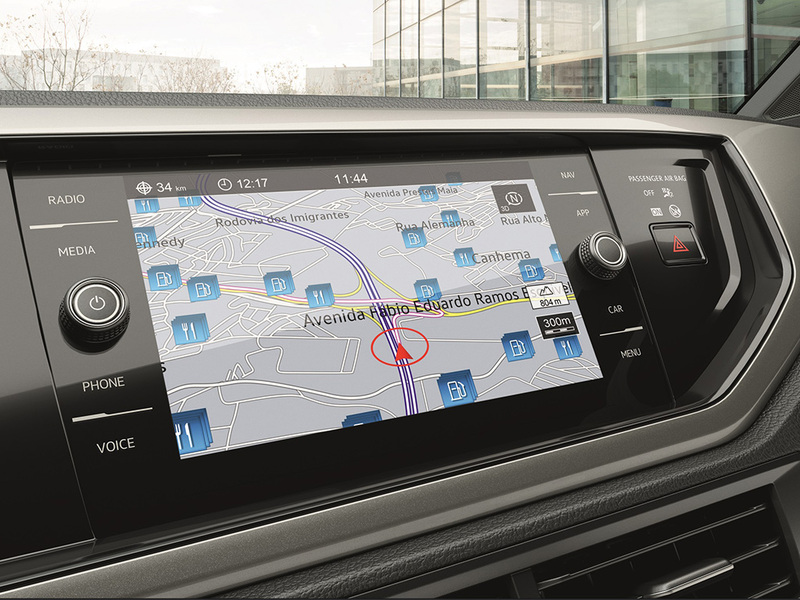 One notable difference is the addition of a smartphone holder on the top of the dashboard – with an input for USB charging – which will be useful to cars fitted without satellite navigation. Trim levels largely follow those in Europe and the rest of the world. The range starts with the Polo (1.0) and Polo MSI (1.6), the equivalent of entry-level Trendline models elsewhere. Standard equipment includes air conditioning, electric windows all-round, an on-board computer, and remote central locking. Optional ‘Connect’ and ‘Safety’ packages include luxuries such as a multifunction steering wheel, ‘Composition Media’ infotainment upgrade, 15-inch ‘Viper’ alloy wheels and electronic stability control. Much of the optional packages on the 1.0 and 1.6 make up the specification of the Comfortline Novo Polos, which also gain electric mirrors, front fog lights, and rear parking sensors. 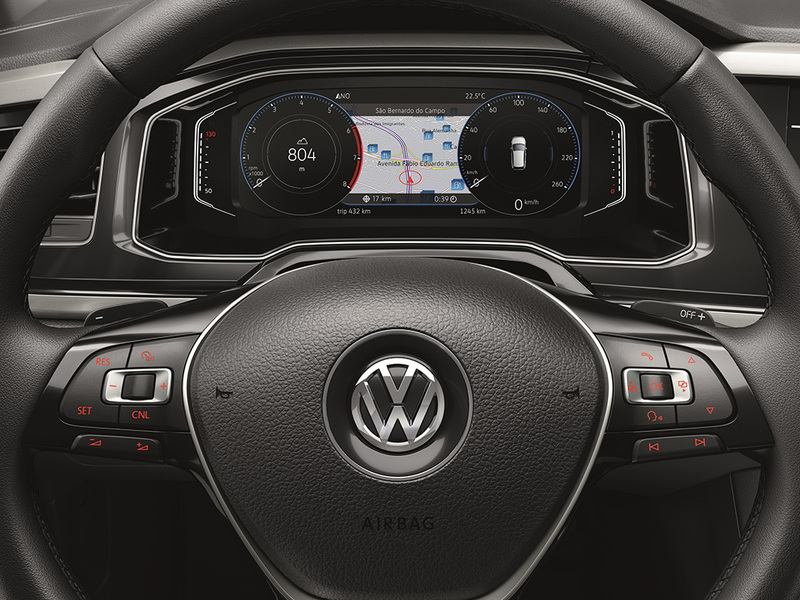 The ‘Tech I’ optional pack includes automatic cruise control, automatic dimming rear view mirror and wipers, automatic headlights with ‘coming home’ function, front parking sensors, gear shift paddles, keyless entry and engine start/stop button, and 16-inch Avalanche’ alloy wheels. The ‘Tech II’ package meanwhile offers a chilled glovebox, ‘Climatronic’ digital air conditioning, fatigue detector, luggage compartment storage system, a multifunction leather steering wheel, rear-view camera, a tyre pressure monitoring system and gloss black interior accents. Safety upgrades include an automatic post-collision braking system. The Highline sits at the top of the Novo Polo range, and includes most of the optional kit offered on the Comfortline as standard. Options include synthetic leather seats, while the ‘Tech High’ package includes a ‘shark’ radio aerial, and the ‘Discover Media’ infotainment system. Additionally, the ‘Technology’ package adds the Active Info Display system and 17-inch ‘Razor’ alloy wheels. Where the Novo Polo differs most from its European relative is in its engine line-up. Whereas the Euro new Polo has a choice of petrol (TSI), diesel (TDI) or natural gas-powered (TGI) engines, the South American car’s ‘Total Flex’ units can run on both petrol and ethanol. A three-cylinder, 999cc naturally-aspirated unit powers the 1.0 model. Developing 75bhp when powered by petrol, power increases to 84bhp when run on ethanol. Torque figures of 75lb ft/102Nm (ethanol) or 70lb ft/95Nm (petrol) come in at 3,000rpm. The Novo Polo 1.0 MPI takes 13 seconds to do the 0-62mph dash and tops out at 105mph. Next up, the four-cylinder 1.6 MSI develops 117bhp on ethanol, and 110bhp when fuelled by petrol. Torque of 119lb ft/162Nm (ethanol) and 114lb ft/155Nm (petrol) comes in at 4,000rpm, and the 1.6-litre-engined cars do the 0-62mph benchmark in 9.6 seconds and has a top speed of 119mph. All 1.0 and 1.6 Novo Polos are fitted with a five-speed ‘MQ 200’ manual gearbox. 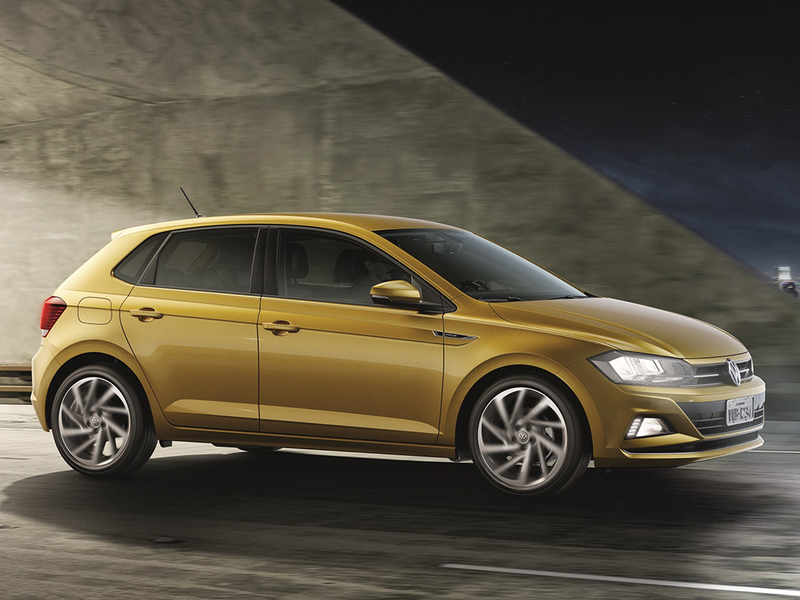 Finally, the 200 TSI unit refers to its 200Nm (147lb ft, from 2,000 to 3,500rpm) torque output. The three-cylinder 1.0-litre turbocharged engine has outputs of 128bhp (ethanol) and 115bhp (petrol) and only comes allied to a six-speed ‘AQ250-6F’ tiptronic automatic gearbox, which can also be operated via steering wheel-mounted paddles. The Novo Polo features the same technologically-advanced safety features as the European car, with four airbags as standard. 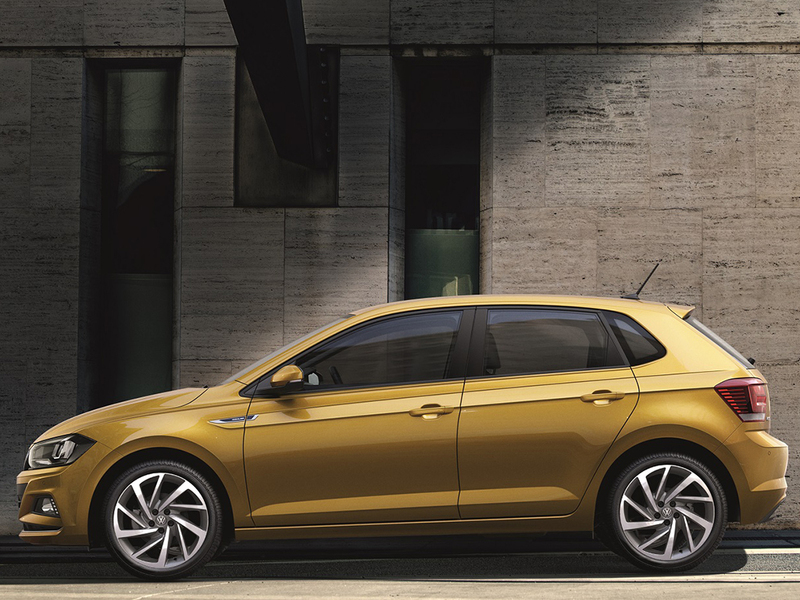 All 200 TSI versions come with four disc brakes, and the complete model range is fitted with an M-ABS system which also includes traction control and electronic brake force distribution. An automatic brake disc cleaning system is also available which brings the brake pads to the front of the disc to dry the disc to ensure the safest possible possible stopping distance. 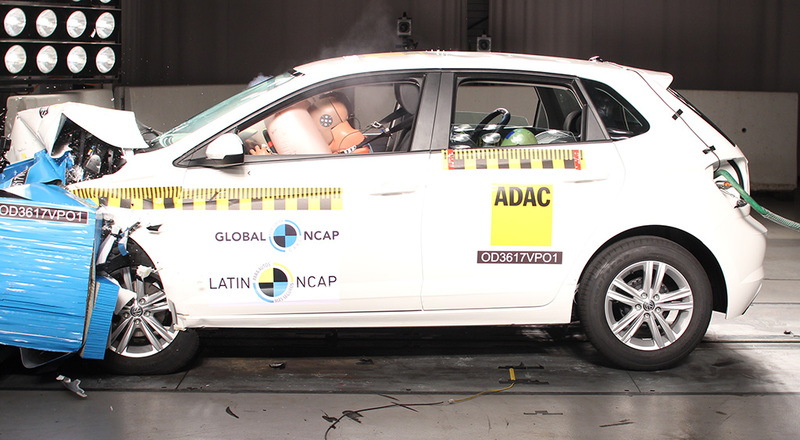 So safe is the Novo Polo, it has been named as the safest compact car on the Brazilian market, according to Latin NCAP. Earning a five-star rating for both adult and child protection, the Novo Polo also received the Advanced Award for vehicles which meet pedestrian protection criteria, the first model in Brazil to do so. 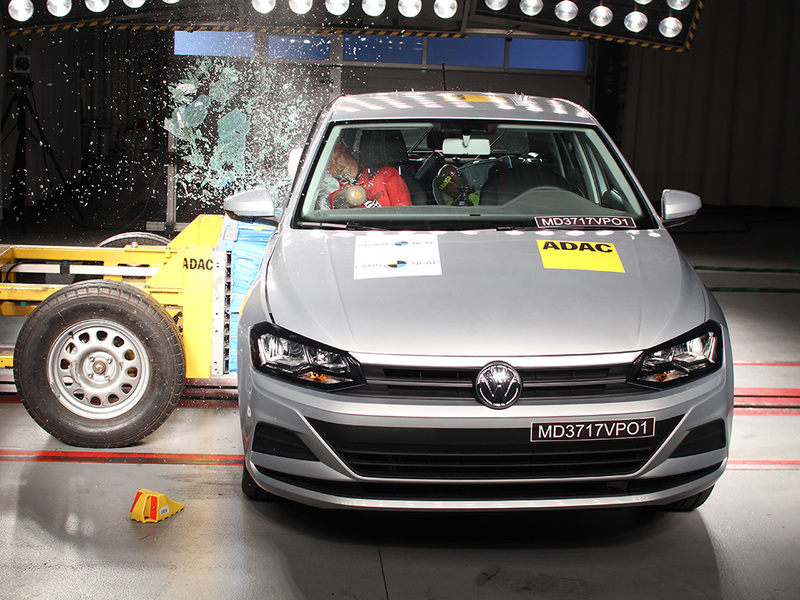 The Novo Polo also has the lowest reparability index (cost and time taken to fix) in Brazil of any car. 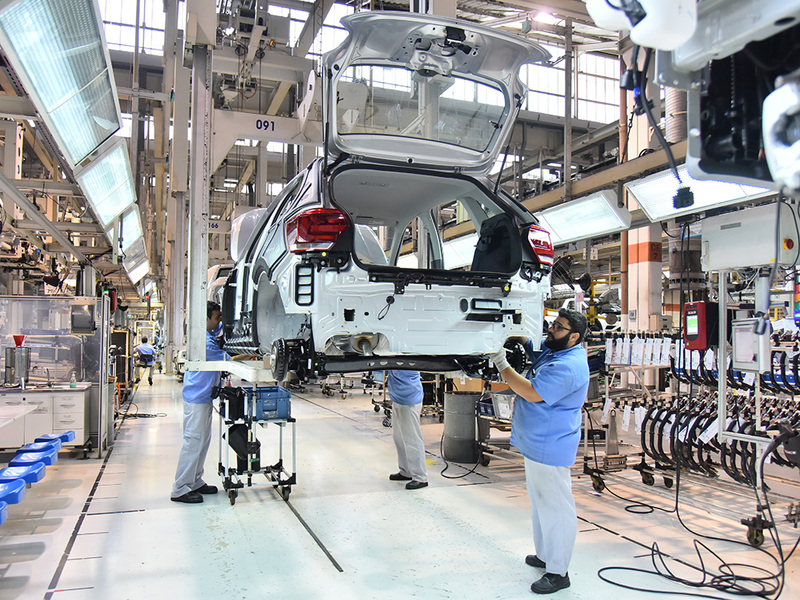 Volkswagen has invested R$2.6 billion in the Anchieta plant which will build the Novo Polo for South American markets. A sedan/saloon version of the sixth-generation Polo called the Virtus will also be built at the Brazilian factory and will go on sale in the first quarter of 2018. 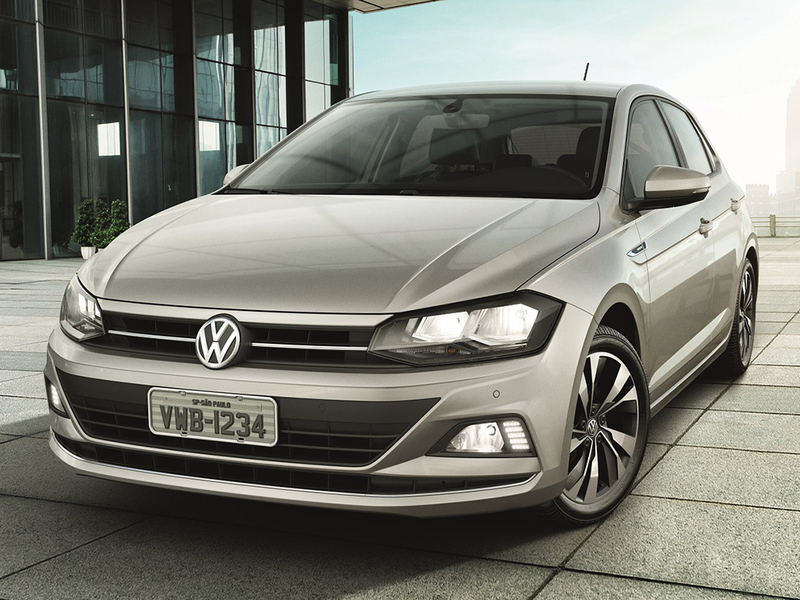 The Novo Polo hits Brazilian roads this month (November) with a three-year, unlimited mileage warranty and was unveiled to the public on 30 September at a special pavillion with interactive displays at Parque Villa-Lobos in Sao Paulo. The car is also on sale in Argentina, in Trendline, Comfortline, Comfort Plus and Highline versions. Volkswagen is confident the new Polo will become the leader in all of its major global markets, and the Brazilian/South American variant is just one we can expect to appear over the coming months. While a decision on India is still forthcoming, the new Polo will go on sale in Australia and South Africa in the first quarter of 2018, while the much-anticipated 197bhp GTI arrives in Europe around the same time. For further information on the 2017 Volkswagen Novo Polo, visit the Volkswagen Brazil website.